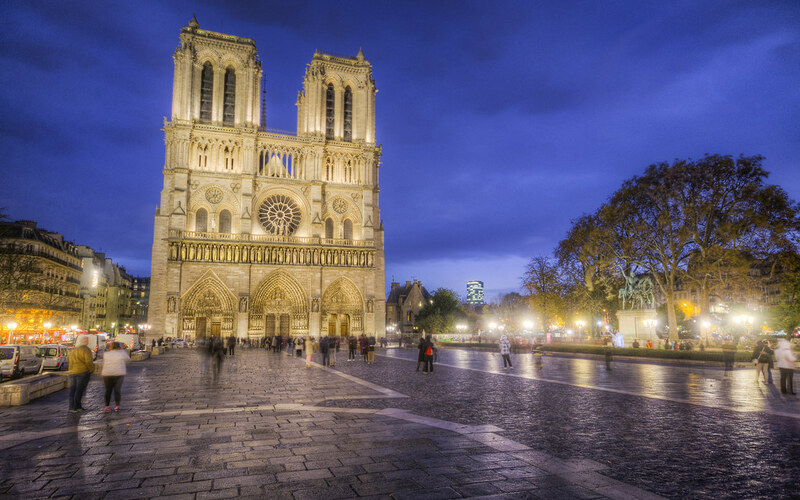 So many people have a connection to Notre Dame, and in the hours after the fire was announced, it seemed like everyone had their personal Notre Dame picture to show. The number of visitors explains the ubiquity: 30,000 people per day, 13,000,000 per year. That explains why the crowds in this picture, even on a rainy night in late November.